The links below are provided as a service to readers. We do not endorse any product or service provided by these organizations. Our goal is provide an eclectic group of links that readers may find helpful when searching for additional cruise information. We update these links quarterly. If you find a non-working link or wish to be considered for "reciprocal linking" (and you have a quality, cruise-related site), please e-mail us at admin@southerncruising.com. 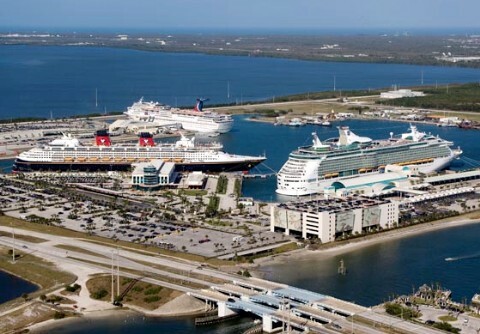 *Photo is owned, copyrighted and used with permission of Port Canaveral. All rights reserved. Please do not link to nor copy this photo. Thank you!